She sat with her feet tucked under her, and leaned against her father, who held her in his arm, as she stared out of the window at the passing people with a queer old-fashioned thoughtfulness in her big eyes. She was such a little girl that one did not expect to see such a look on her small face. It would have been an old look for a child of twelve, and Sara Crewe was only seven. The fact was, however, that she was always dreaming and thinking odd things and could not herself remember any time when she had not been thinking things about grown-up people and the world they belonged to. She felt as if she had lived a long, long time. After growing up in India, Sara’s father feels like he must send her to boarding school in London so she can learn to be a proper young lady. She does not want to leave her father, but she does so gracefully – as she does everything. After establishing herself as an even-tempered, sweet and generous friend to everyone at the school, she receives horrible news that changes everything. However, even when everything is taken away from her…she remains positive and charming. She and fellow servant girl Lottie manage to survive by sticking together – and their determination ends up paying off! I should probably mention that I grew up watching (and loving!) 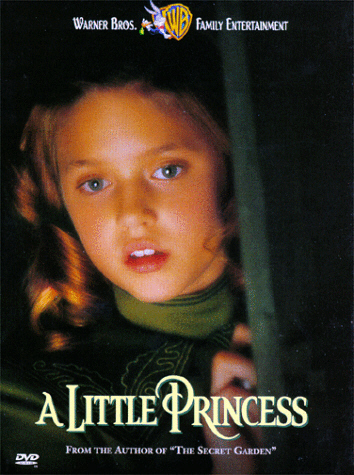 the 1997 movie version of A Little Princess, so I was ridiculously surprised by how the book ends – the movie changed things up big time! 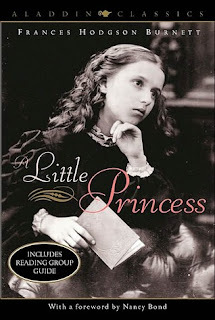 A Little Princess by Frances Hodgson Burnett is definitely a book you should make sure to cross off your to be read list! I remember absolutely loving the abridged version of this when I was younger. I do need to re-read the full version though. Anyway, I know that I should read it, given it’s a children’s classic and all. 😛 I’m glad to hear you liked it! Elizabeth recently posted..Looking for Online Tickets?